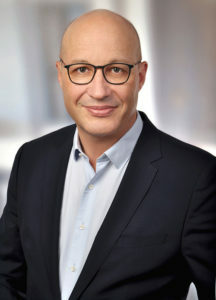 Whirlpool Corporation announced Gilles Morel as President of the EMEA region and Executive Vice President. In this role, he will report directly to Chairman and CEO Marc Bitzer. Morel will begin his new role on April 1st, 2019. He brings more than 25 years’ experience in the consumer goods industry, leading sales, operations, marketing, manufacturing, research and development, and procurement, including several regional leadership roles. “Gilles brings strong leadership skills, exceptional P&L ownership and a very good understanding of the European marketplace to our EMEA team – said Bitzer -. We look forward to seeing our EMEA business return to profitability and long-term value creation under his leadership”. “There is an abundance of talent along with great products and brands within Whirlpool EMEA and I look forward to building on the great work already in place – commented Morel -. The industry throughout the EMEA region remains strong and I am fully committed to ensuring that we continue to lead and remain at the forefront of meaningful innovation”.